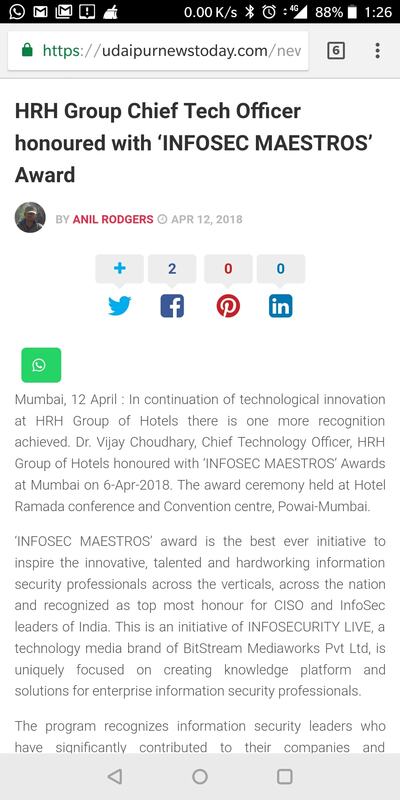 In continuation of technological innovation at HRH Group of Hotels there is one more recognition achieved. 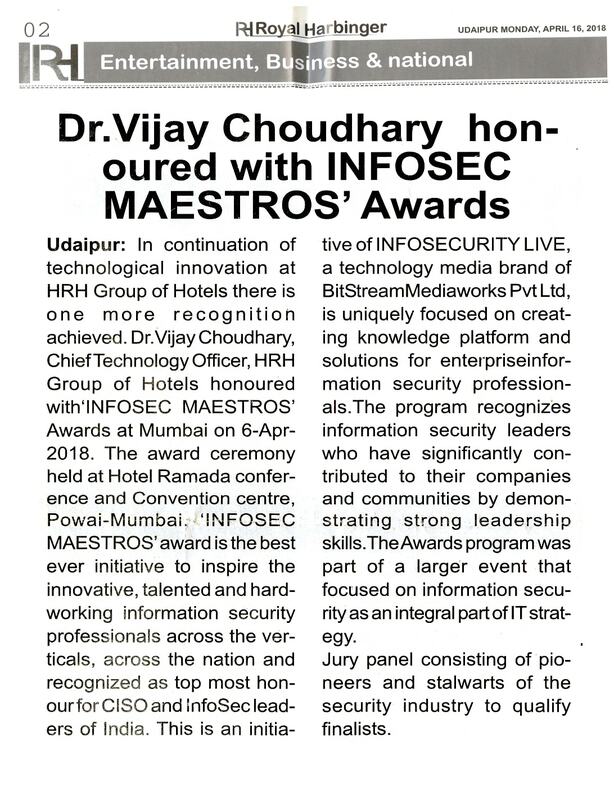 Dr.Vijay Choudhary, Chief Technology Officer, HRH Group of Hotels honoured with 'INFOSEC MAESTROS' Awards at Mumbai on 6-Apr-2018. 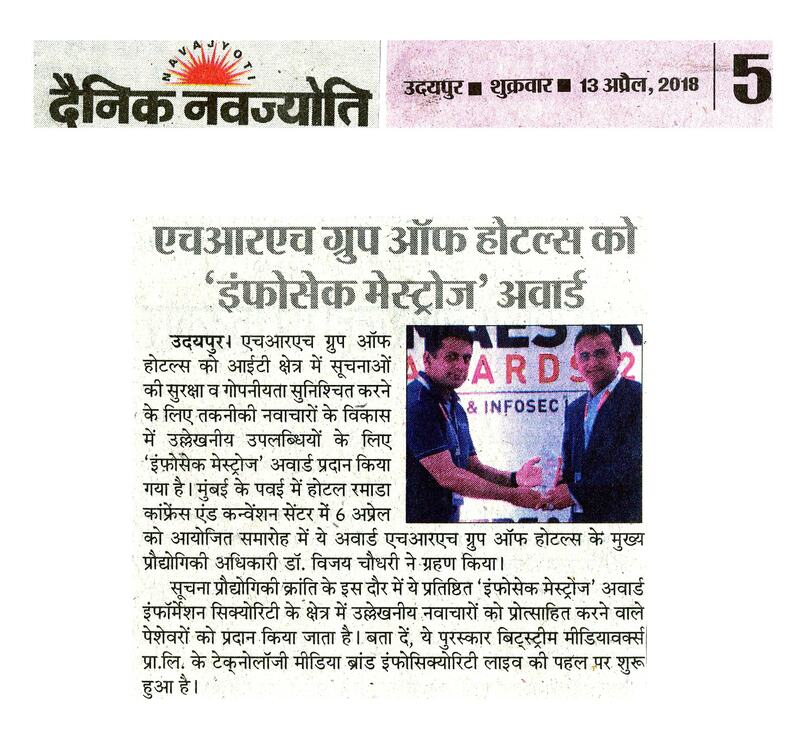 The award ceremony held at Hotel Ramada conference and Convention centre, Powai-Mumbai. 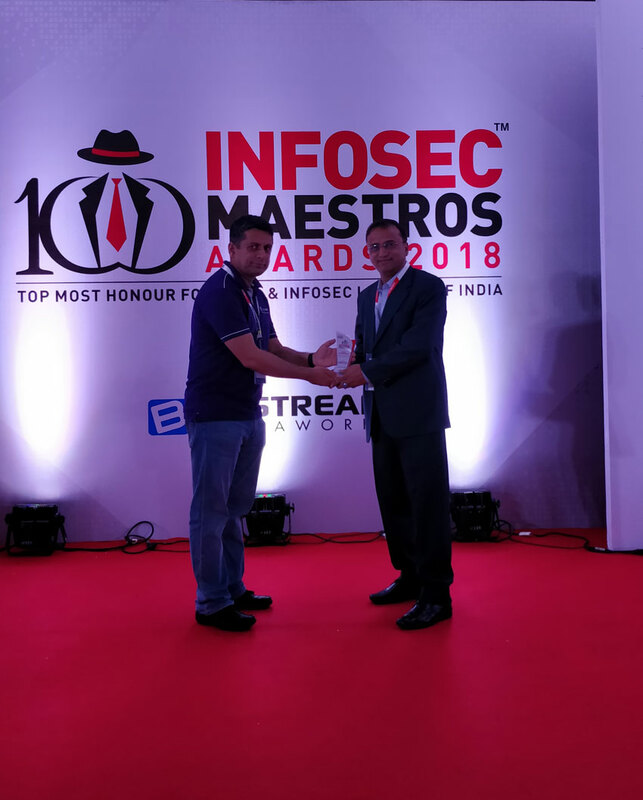 'INFOSEC MAESTROS' award is the best ever initiative to inspire the innovative, talented and hardworking information security professionals across the verticals, across the nation and recognized as top most honour for CISO and InfoSec leaders of India. 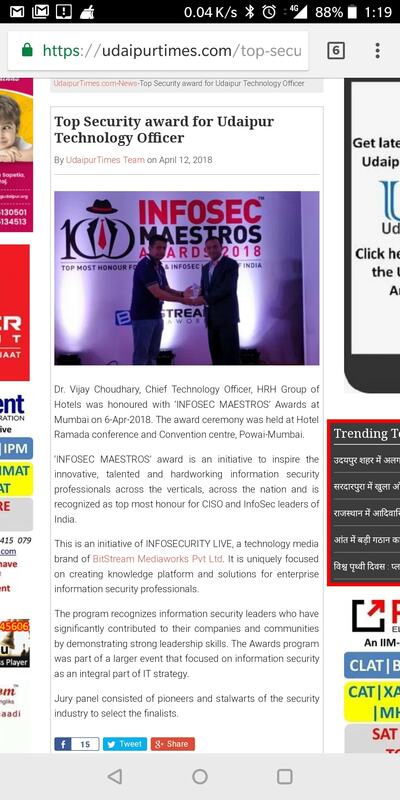 This is an initiative of INFOSECURITY LIVE, a technology media brand of BitStreamMediaworks Pvt Ltd, is uniquely focused on creating knowledge platform and solutions for enterpriseinformation security professionals. The program recognizes information security leaders who have significantly contributed to their companies and communities by demonstrating strong leadership skills.The Awards program was part of a larger event that focused on information security as an integral part of IT strategy. Jury panel consisting of pioneers and stalwarts of the security industry to qualify finalists.